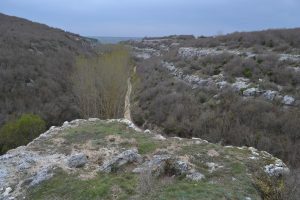 At a point about a little more than a kilometre north of Vize, two streams merge to form a gorge by which the resulting river enters the town. 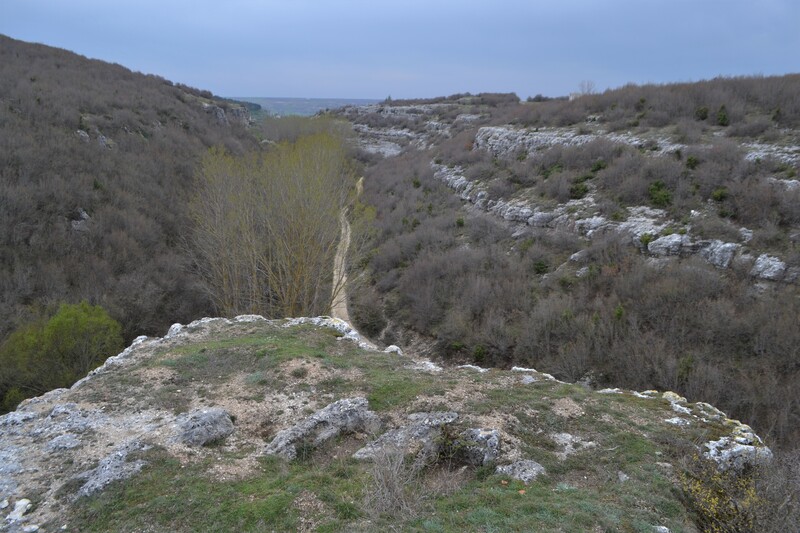 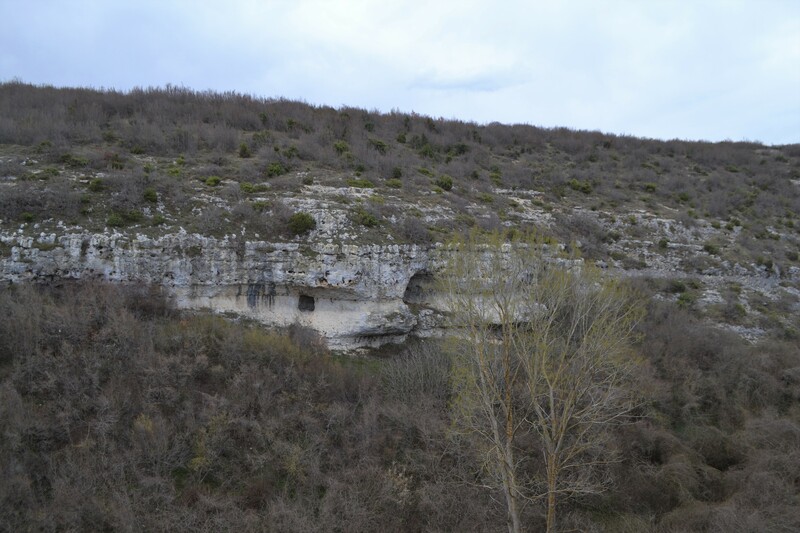 On either side of the river are high limestone cliffs which, in this region, indicate a strong likelihood of rock-cut churches. The narrow prow between the converging streams (41.589139, 27.777178) is honeycombed with tombs and a single, eroded chapel. 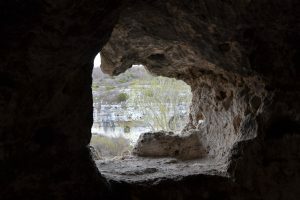 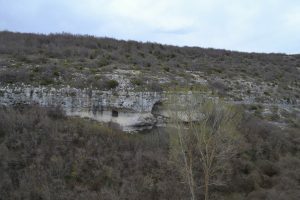 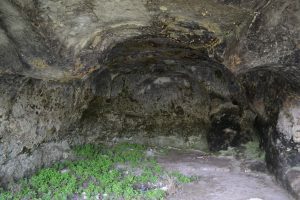 The west bank of the gorge has some large caves. 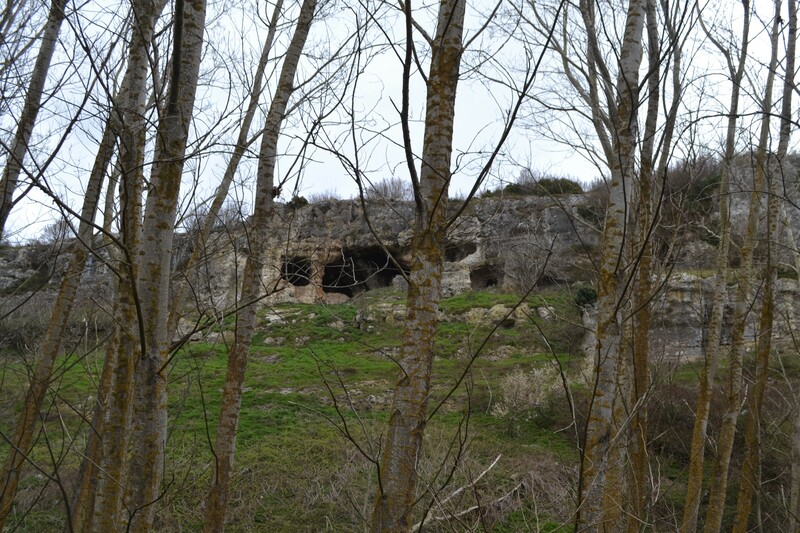 The buildings on the high ground immediately above these belong to a well-established training camp for the Jandarma. 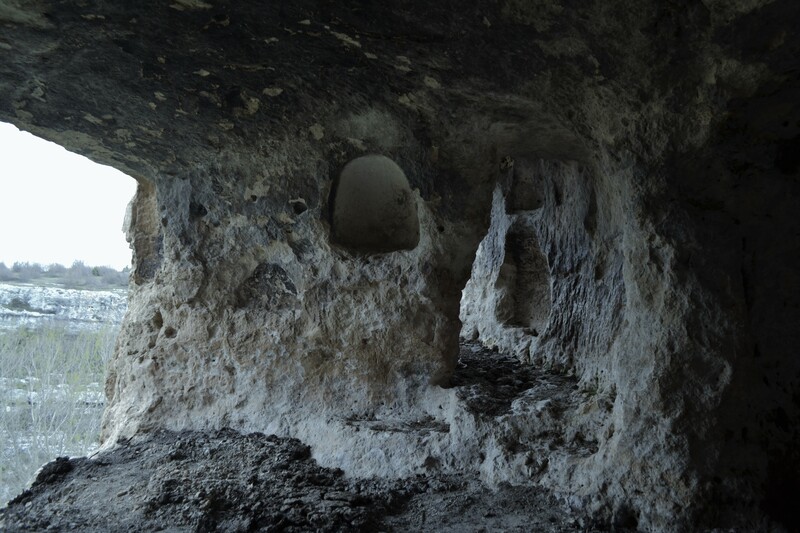 They make up an ersatz village built for practice exercises in the non-war against Kurdish forces in the eastern part of the country (Kassabova, 2107). 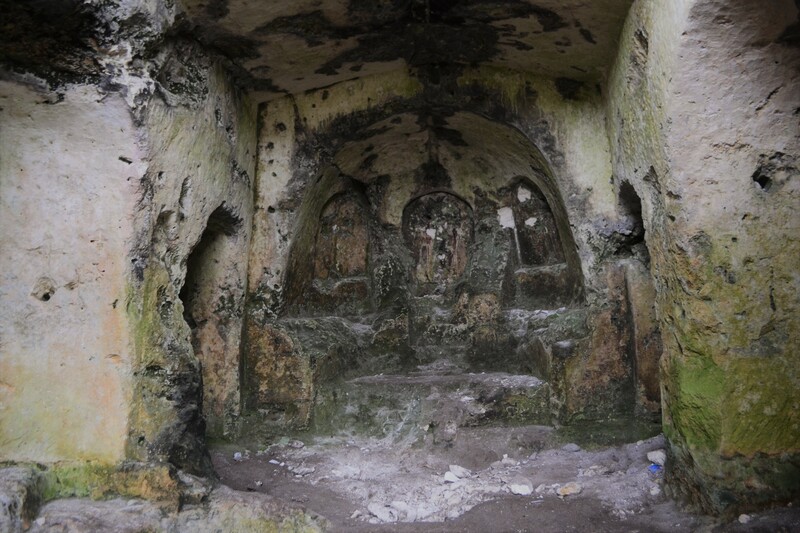 The eastern bank shelters the amazing Asmakaya Monastery (41.586571, 27.774664), a complex of chapels and monastic cells that once must have rivalled the Monastery of St Nicholas in Kıyıköy. 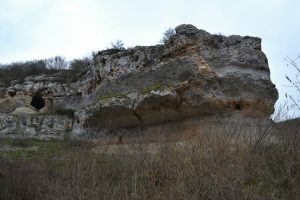 An imposing façade can be seen about 20 metres above the river. 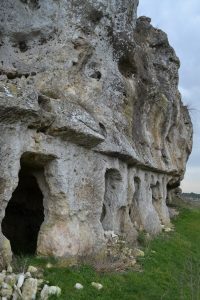 In the rock behind this can be found three chapels and a variety of niches, passages and cells. 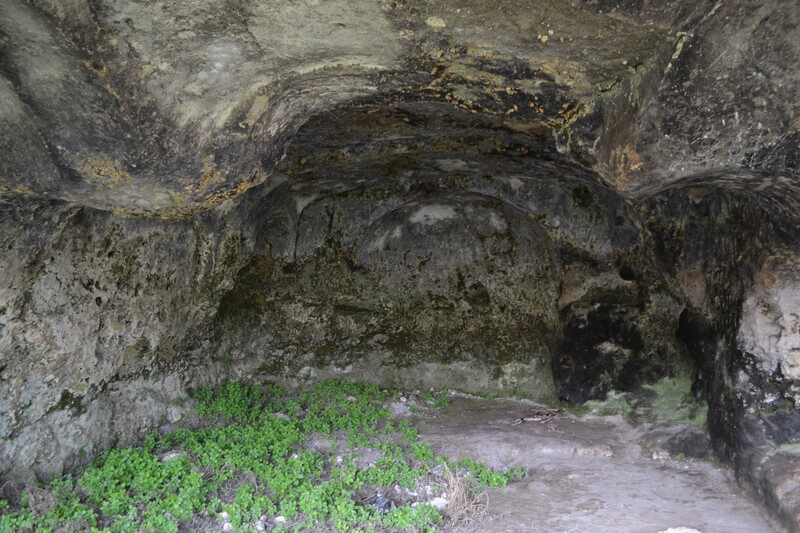 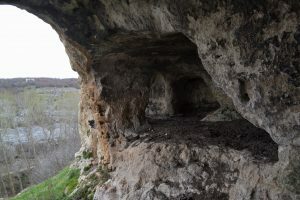 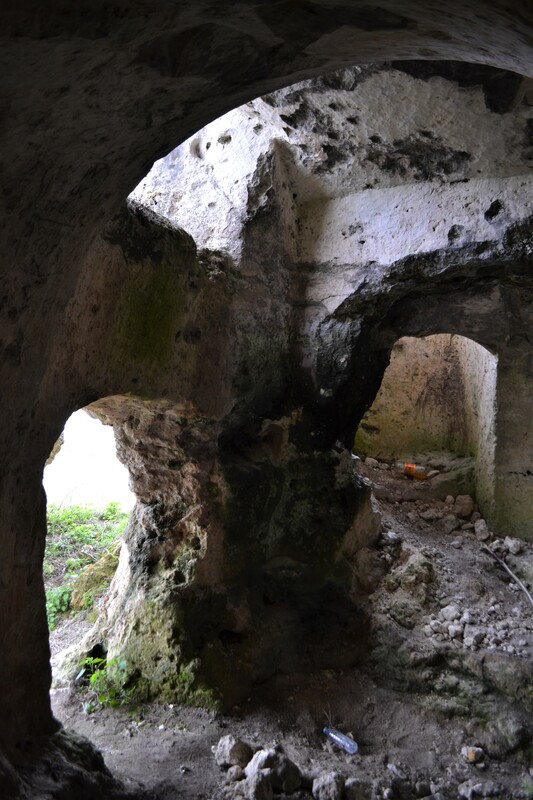 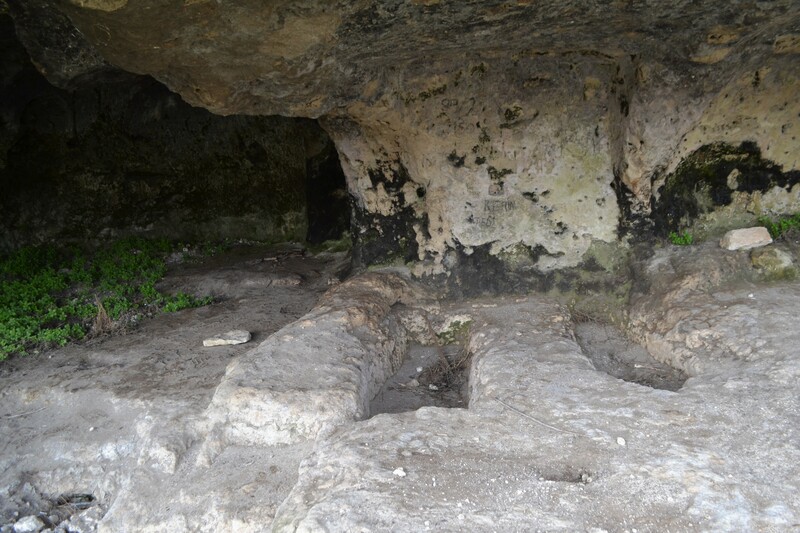 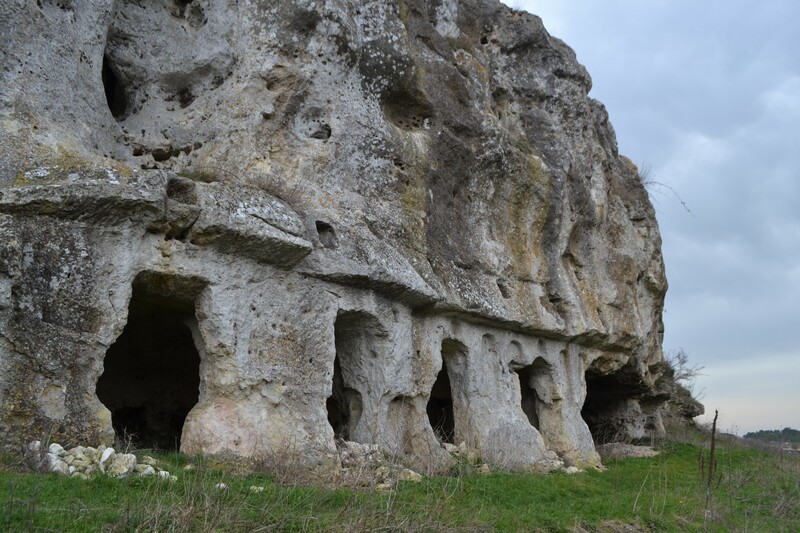 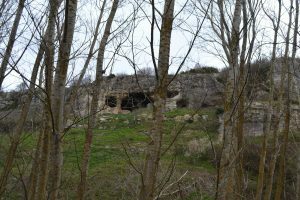 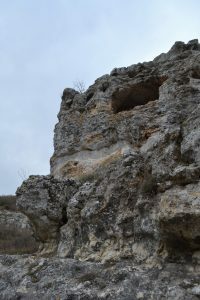 The complex stems from the 9th Century (Trakyanet, 2014) and is the result of stonemasons enlarging and reshaping natural caves in the karst landscape. 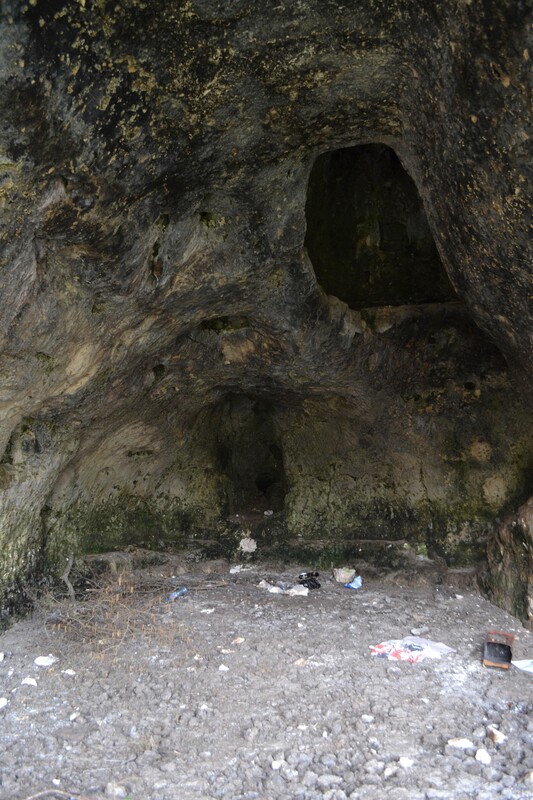 The northern chapel was probably associated with funerals and has a number of graves dug into the rock outside. 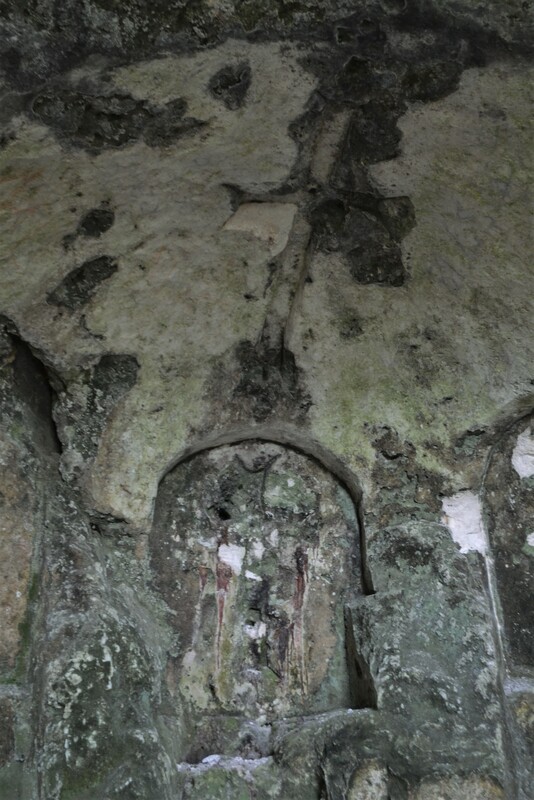 The northern wall of this church has some finely carved arches. 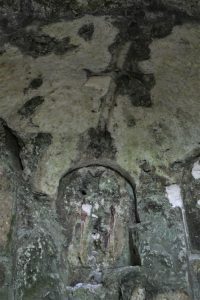 The central church is the largest, around 10m in length and with a ceiling a comfortable 5m in height. 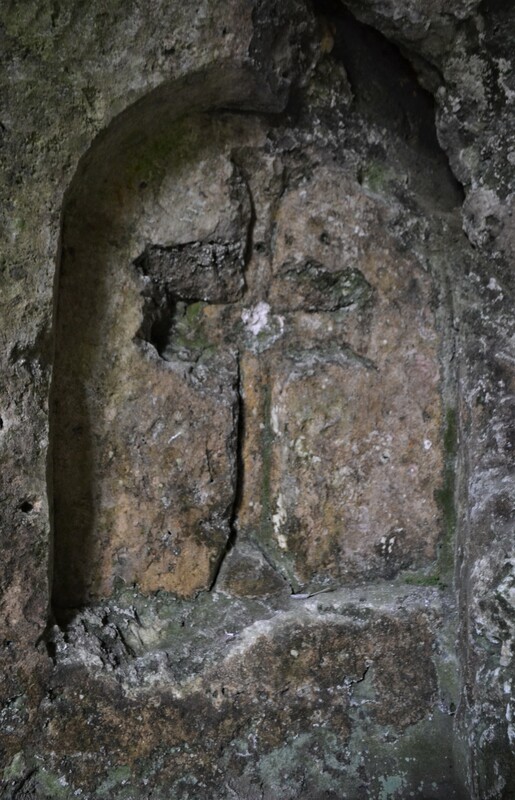 A 2m cube is carved above the sanctuary. 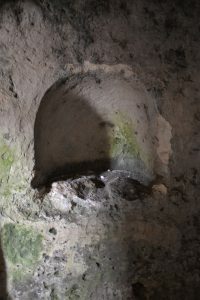 Traces of the carved steps to this little bolthole can still be seen. 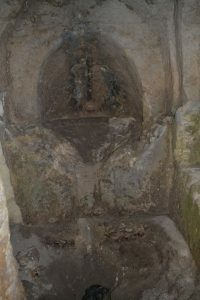 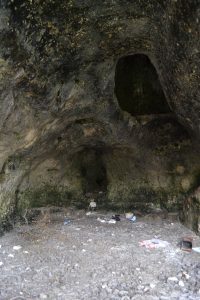 From the narthex, if the space outside the nave can be dignified with such a term, monastic cells have been dug out of the western wall (Civelek, 2016). 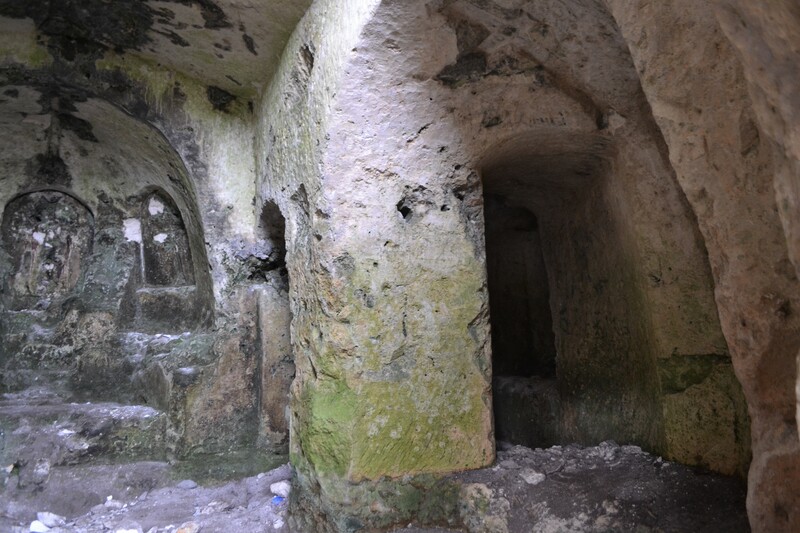 This whole length of the monastery is linked by an arcade that lies just inside the arches leading to the outside. By far the best-preserved section of the complex is the southern chapel. 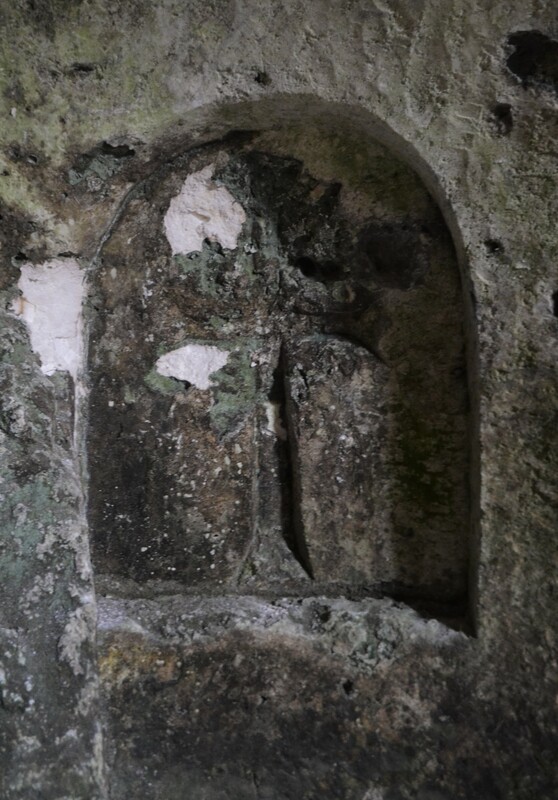 This is separated from the other parts by a section of cliff that was not suitable for church-carving. 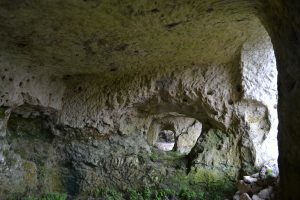 The chapel has three well-defined apses. 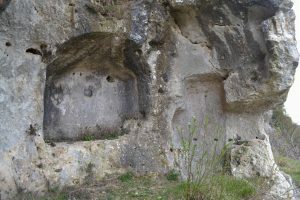 The central one boasts a roughly-carved synthronon but three delicately formed niches, all with well-preserved crosses in a clear serif form. The half-dome of the ceiling of the sanctuary has another elegant cross. 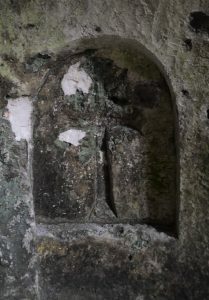 The pastophoria on either side are symmetrical and formed with niches for icons and for lighting candles. The whole complex has been well-preserved owing to its status as a no-go military area until recently. 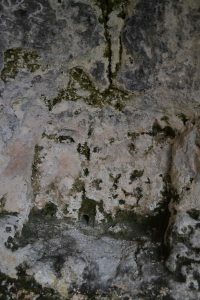 However, the treasure hunters have been in and have left their marks already. 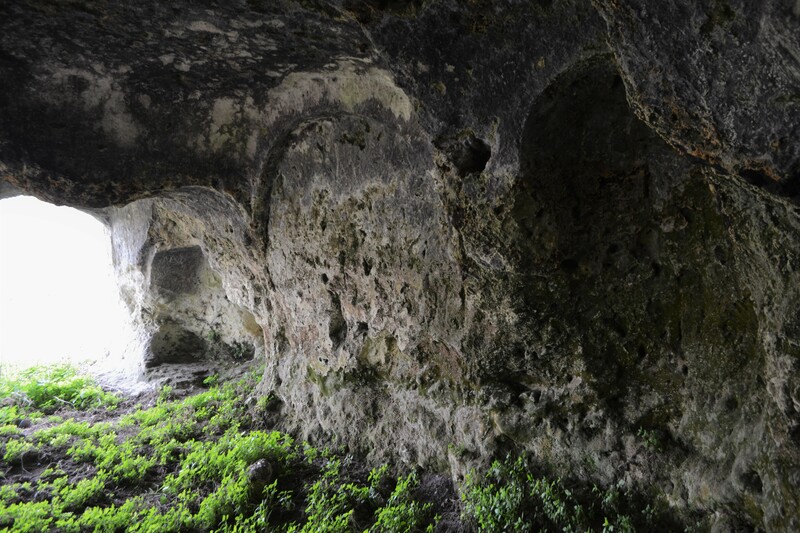 The monastery does not have a guardian as does its counterpart in Kıyıköy and is vulnerable at the moment.